Preschool Math by Robert A Williams and Joy Lubawy is an excellent book with lots of easy and inexpensive math activities for preschoolers. One lesson within this book is an exercise on simple graphs. Kids Activities Blog loves this activity for preschoolers and hope you will come back to share with us what your child’s favorite object to sort and graph was. What I love most about this exercise is its versatility. You can take pretty much any object, sort and count it in various ways and then graph the results. For example, you could sort nuts by type, crayons by color, or you could sort blocks/trains/legos by color, size or shape. Better yet, you could sort textures into soft, smooth and rough, or dinosaur figurines into carnivores and herbivores. 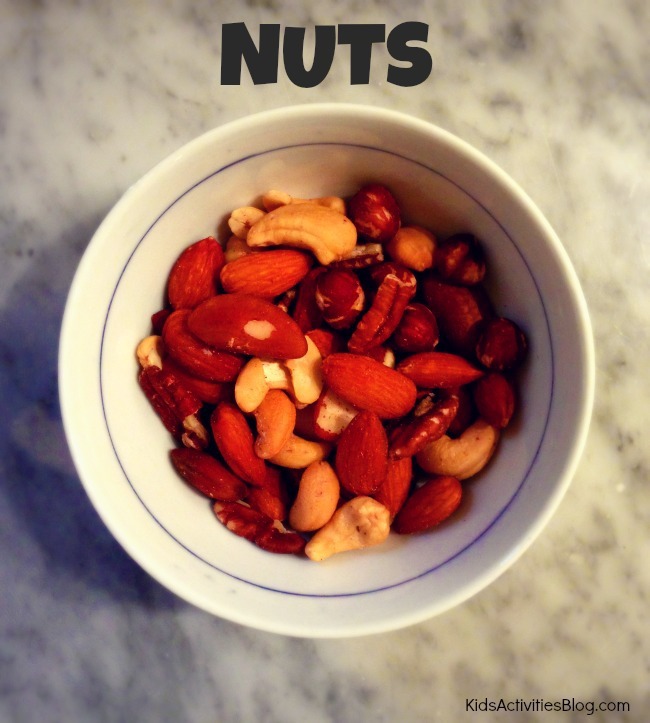 We used nuts on our first graphing exercise. I wrote the name of the nut on the paper but also placed an actual nut at the top of the column as we went through the exercise. We used a “tally system” so every fifth nut we counted we made a slash through four vertical lines. Therefore, we had some great practice counting in fives. My 3.5 year old was interested in the sorting and the counting. He even like the tally approach. I definitely started to lose him as I began creating a bar graph. I think if I create an easy visual in our computer, that’ll grab him next time. So why is graphing (and estimation) so great for preschoolers? What is the value? Children will develop a connection to objects and materials (and therefore math concepts) beyond simple counting. Their minds will visually experience “less than”, “more than”, etc. Giving the children an activity beyond counting engages them and ignites their learning. Simple counting can be, well, boring. If you grab them with a hook like “I wonder if we have more spoons than forks?” it’ll grab them for life. I truly believe that much. Get creative and have fun! Learning math can be (and should be) full of joy! 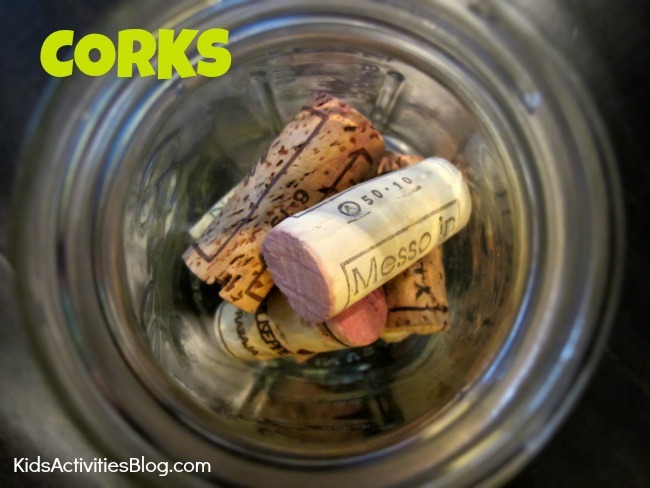 A nice extension to this activity is to begin with the objects in jars or piles. Ask the children to estimate the amount, then count them up! I love this idea! As a parent I find that I don’t come up with math activities as much as art or music projects. 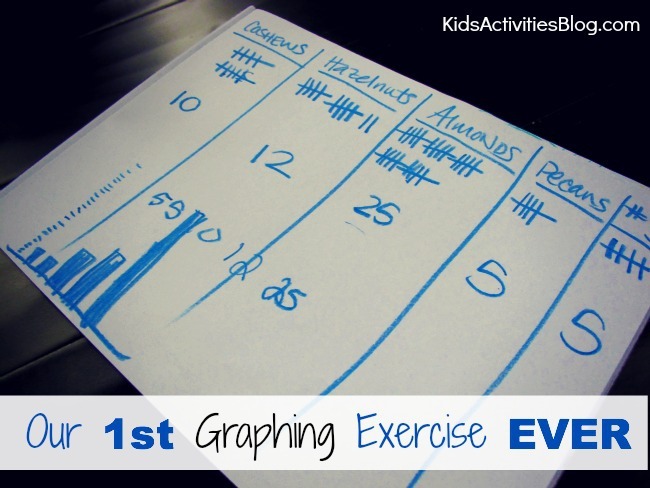 This graphing project is a perfect example of something fun and easy t that doesn’t take much planning but can produce great results. Thanks for the post! came to return the desire?.I’m trying to to find things to improve my website!I suppose its ok to use a few of your concepts! !